You’ve probably never heard of Immokalee, Florida. It isn’t on anyone’s list of “Top Ten Places to Visit”, but this impoverished little town is known as the Tomato Capitol of the United States. You’d think that a place with such a distinguished title would be proud to show the world what they do best, but you’d be wrong. The tomato industry in the U.S. is valued at more than $5 Billion annually, but the poor migrant farm workers who spend their days in the blistering Florida sun picking hundreds of pounds of green tomatoes from pesticide-laden fields have historically been paid slave wages for their part in bringing these tomatoes to your table. For years this practice was largely unknown and continued unhindered until the public was finally made aware of the issue. In 1993, a small group of workers banded together and began to organize and consider ways to improve the community and the conditions being endured by thousands of migrant farm workers. That group would go on to become the Coalition of Immokalee Workers, an organization that now boasts 4,000 members and continues to make strides in improving working conditions and wages among the impoverished workers throughout the region. In the first five years they managed to increase the piece rate for tomato pickers by as much as 25% and yet the pay was still not a living wage. This is the industry that you are helping to perpetuate when you buy tomatoes in supermarkets, restaurants and other food service establishments, but the good news is that it is an easy habit to break. If you want to buy produce, buy local produce. Visit the farmers market and get to know the people who grow your food. Better yet, grow your own. You won’t have to worry about your tomatoes being picked green, shipped across the country and gassed until they turn that pinkish-red color that looks as anemic as those tomatoes taste. Over the next few weeks we will look deeper into this topic and show you more about what is being done to turn the tide for the tomato pickers. Isn’t removing the need for the commercial tomato crop doing the farm workers out of a job? It’s more about demanding change for the working conditions and the treatment of the workers rather than taking away jobs. 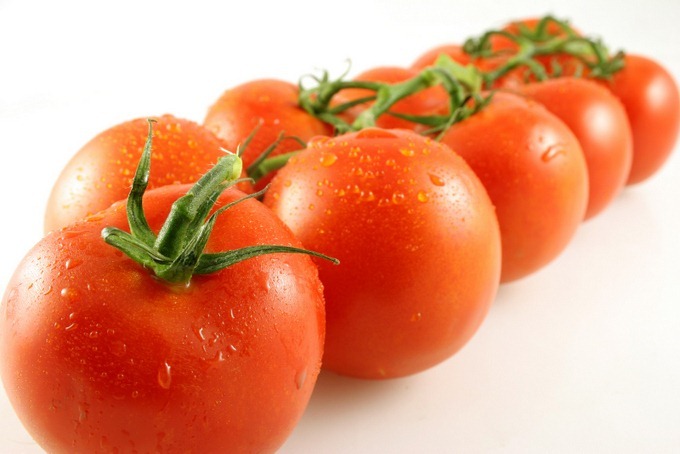 Many tomato workers in Florida have been even found to be slaves – real slaves. It’s hard to believe that this is occurring in modern day USA. Here’s more info if you’re curious to read up on it: http://urbanfig.com/2012/07/barry-estabrook-on-tomatoes-and-migrant-farm-workers/ and he was recently interviewed on NPR’s “The Splendid Table” http://splendidtable.publicradio.org/listings/120804/ which discusses this issue. Thanks for your comment. They also used to house them in tiny homes where there would be just enough space for them to lay down on the floor side by side, sometimes 20 bodies in a 600 square foot place. They would have to buy bars of soap from the owners, and the owners would charge as much as 2.00-3.00 a bar. This was when soap was 70 cents a bar.A lot has changed since that time but not enough. I’ve seen Mexicans handthrowing barrel tiles up to guys standing on the roofs of $400 thousand dollar homes, and i kept thinking these guys will die young…but who cares there just immigrants. Last but not least, rich lush landscapes here in Florida have mostly our immigrants to thank. For most white folks its too hot, too dirty, too labor intensive for the bare minimum wage that you get paid.